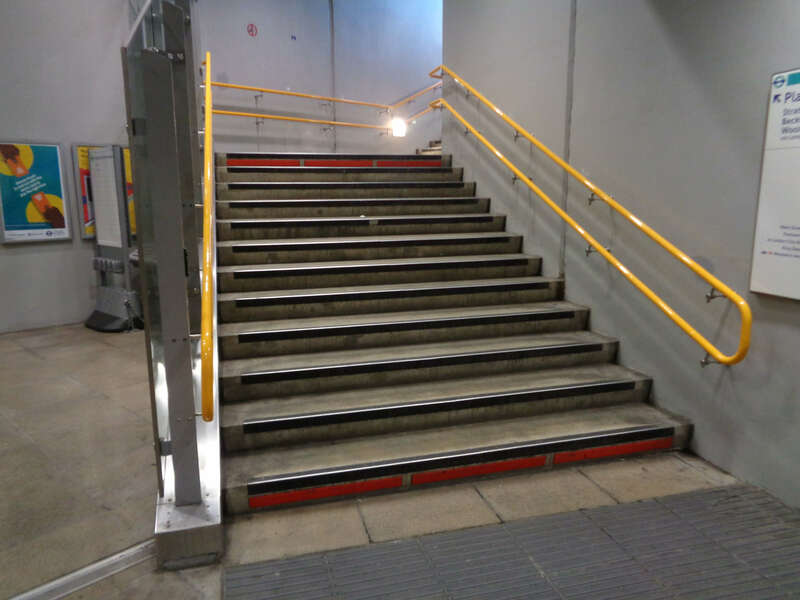 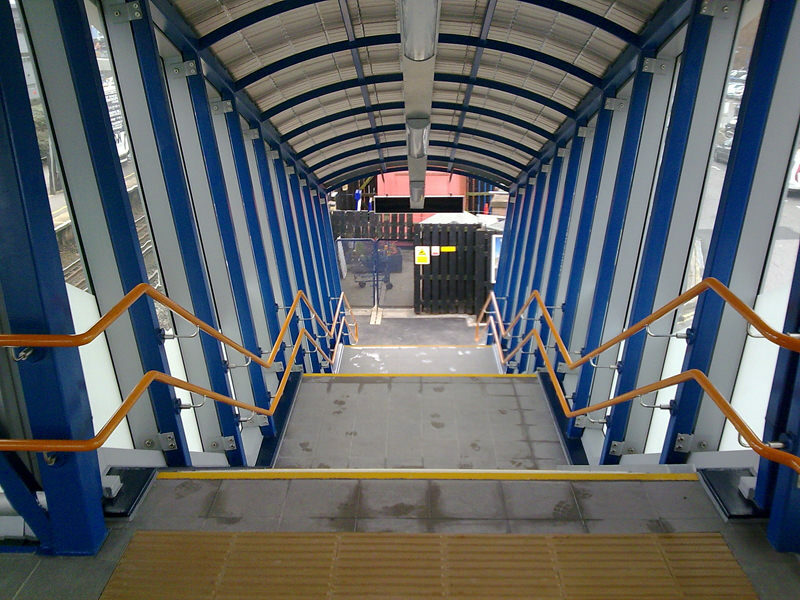 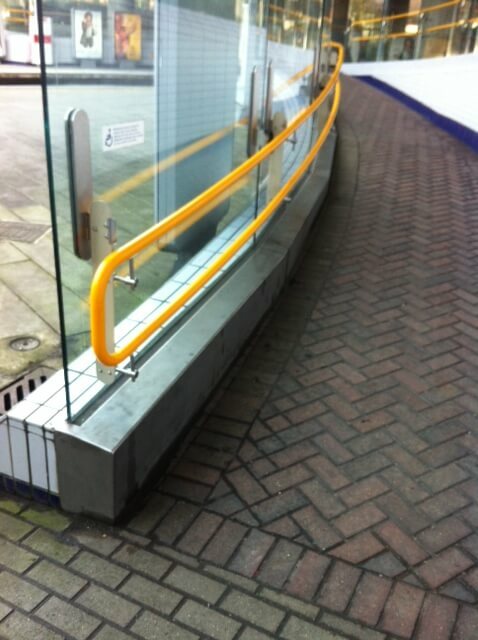 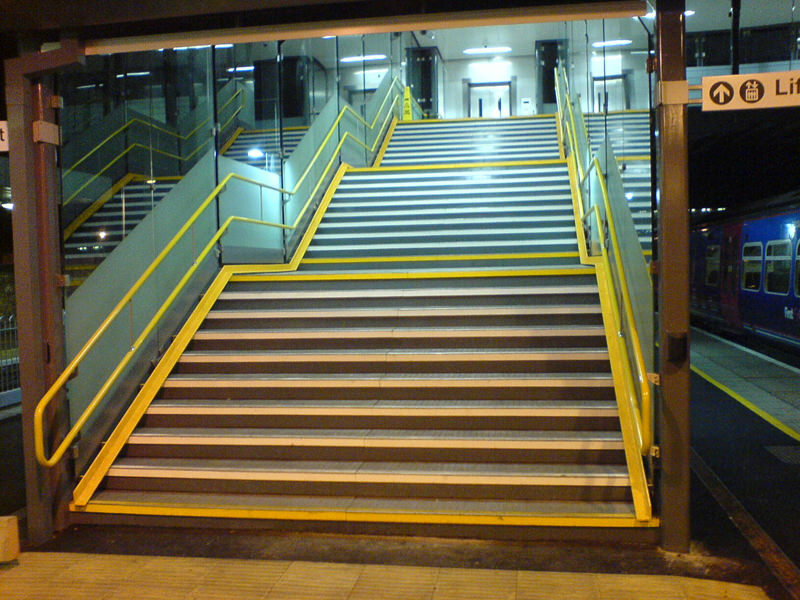 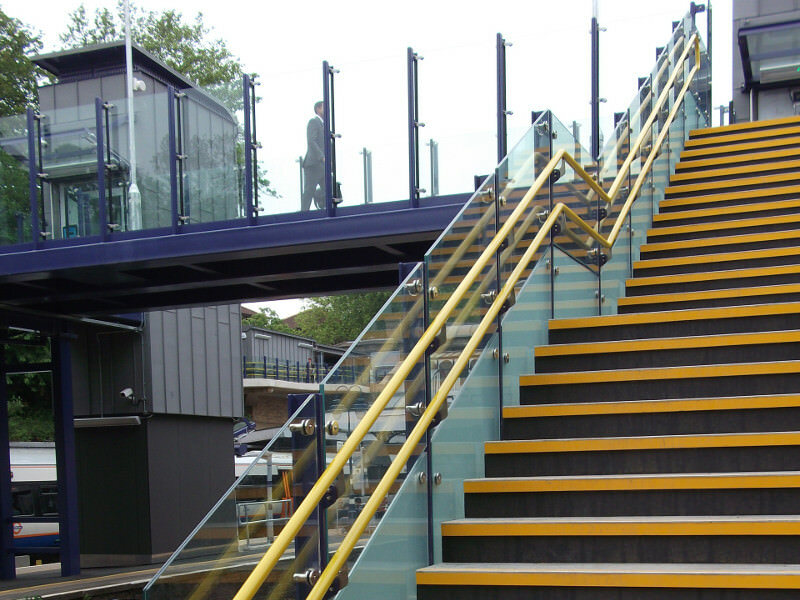 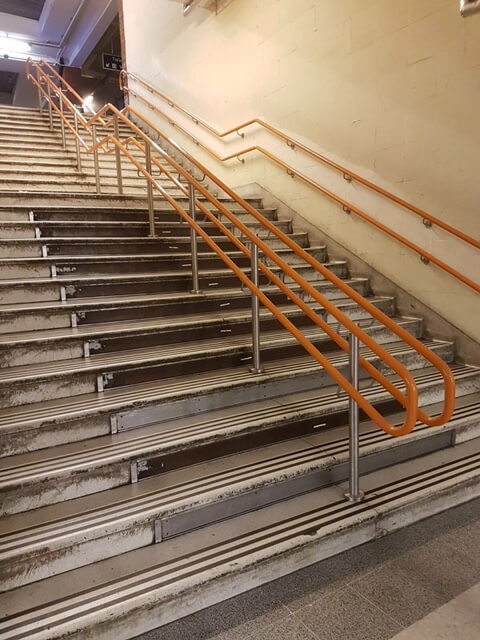 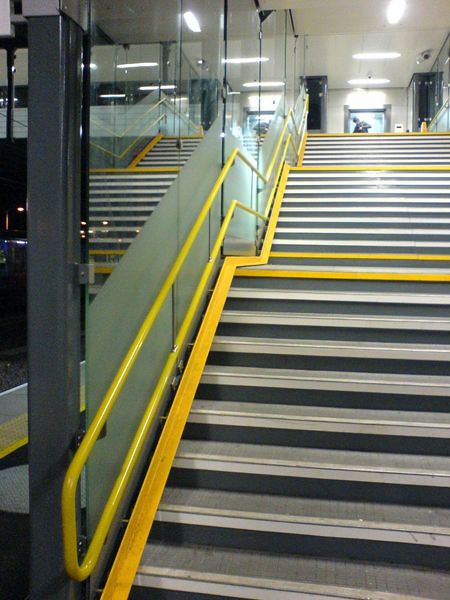 There are many applications within a railway station where a handrail may be required. 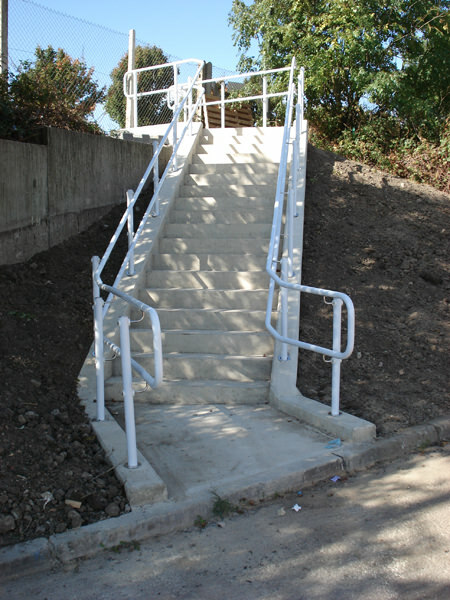 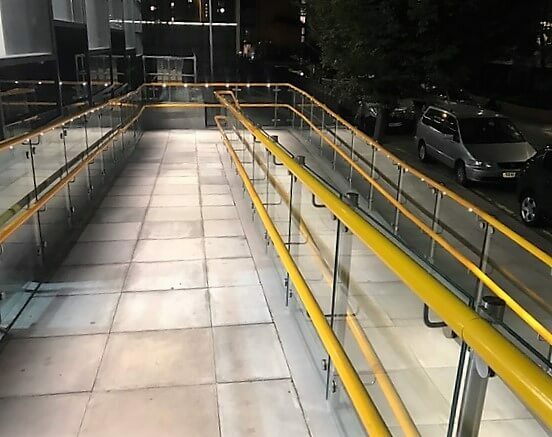 Handrails for ramps, steps or footbridges that require a durable material that is “warm to the touch” and of a contrasting colour to its surroundings, are ideal applications for Stargard. 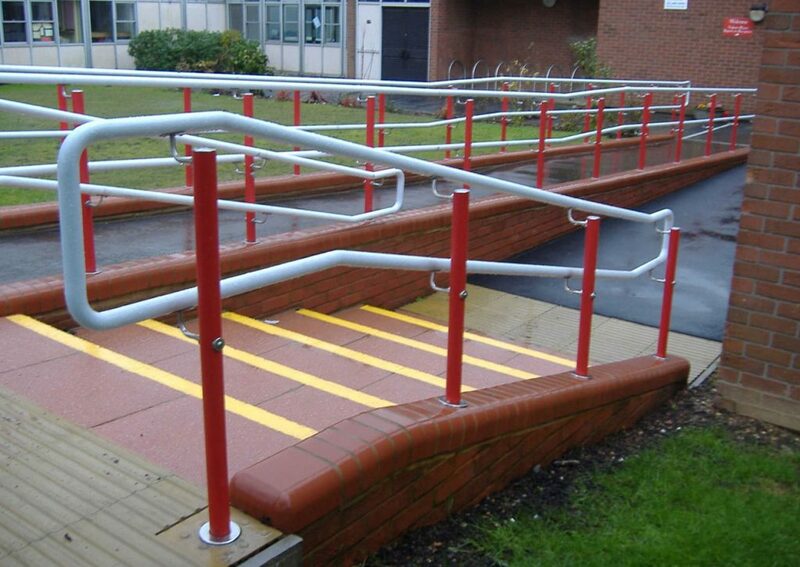 Stargard, is not simply powder coating. 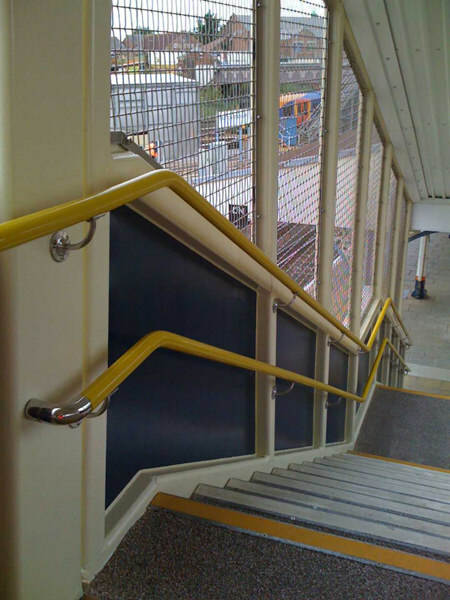 With its 4mm (4,000 microns) thick pvc sleeving over galvanised tube, giving 42mm finished diameter, meets those requirements. 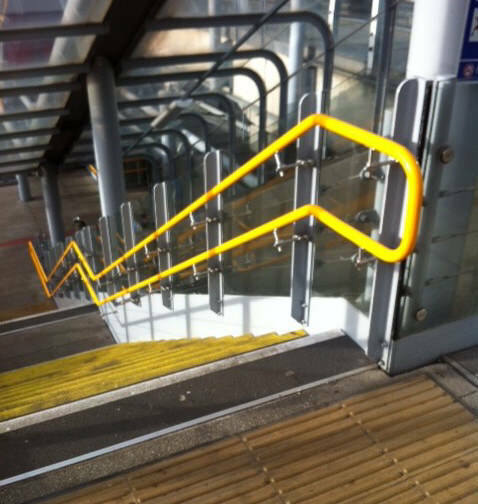 This PVC Handrail is robust, it resists knocks and bumps and has a very low maintenance requirement making it ideal for railway handrails. 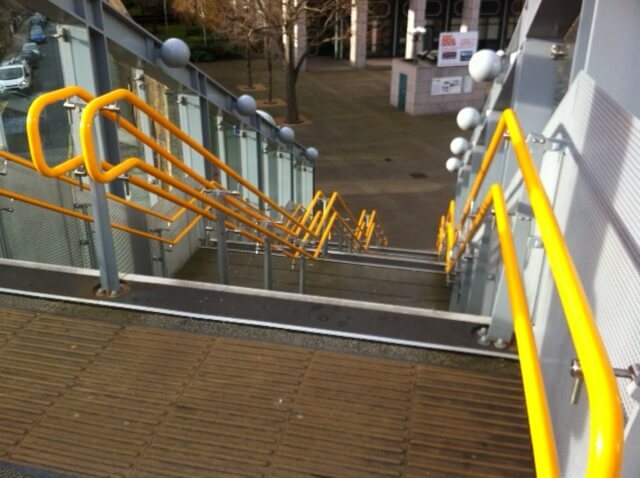 The colour is consistent throughout the 4mm (4,000 microns) of thickness. 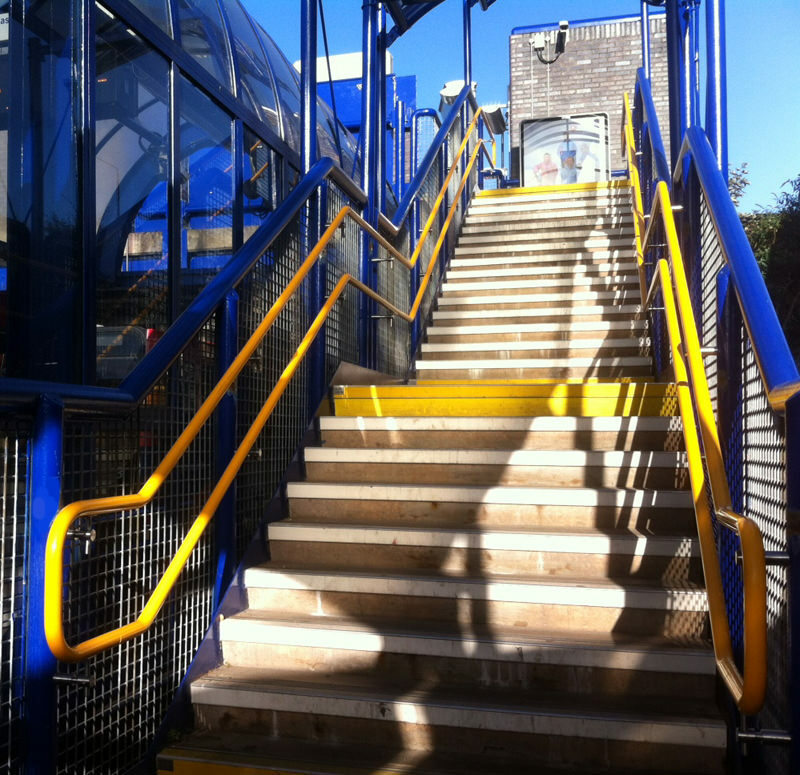 Stainless steel brackets are used to help to keep the maintenance to an absolute minimum. 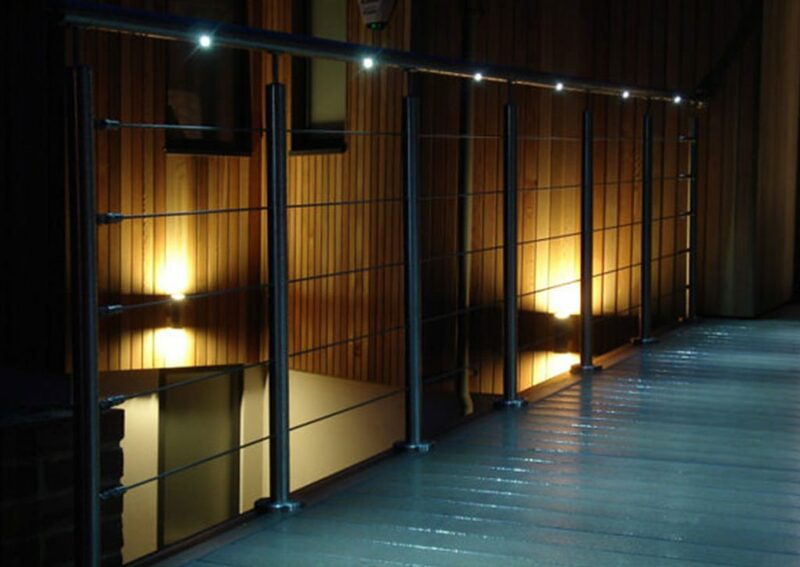 If required, Stargard handrail can be fitted with LED INSERT lighting. 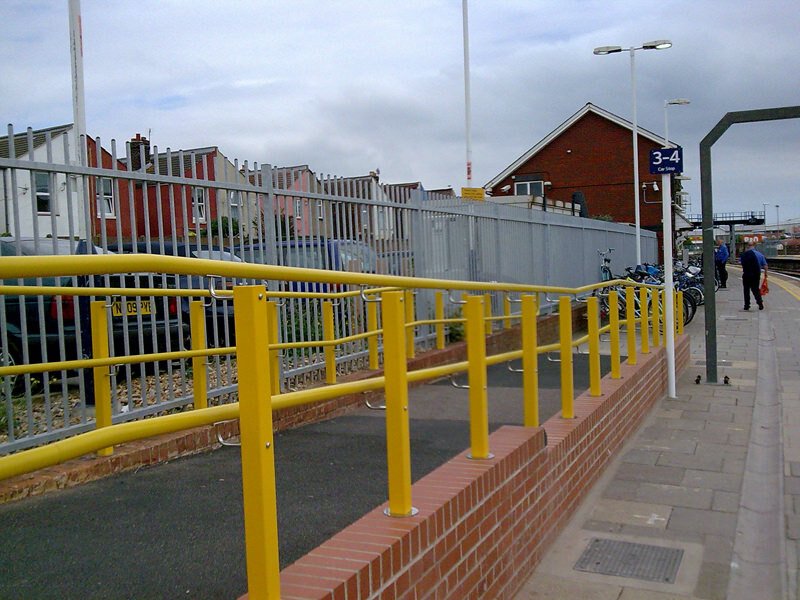 Simple guardrails can be in our Sentinel stainless steel system.